Adobe has unveiled a free starter plan for its XD app, which is aimed at UI and UX designers – allowing people to use it across platforms with all its features at no charge. XD previously cost a minimum of $10 a month for access to the app’s macOS and Windows software, as well as its mobile preview tools for Android and iOS; that plan also netted you 100GB of cloud storage and unlimited shared prototypes and design specs. The free starter plan lets you get started with 2GB of space and a single active shared prototype and design spec; you’re also limited to using a limited font set from Typekit, as opposed to the complete library available to those on paid plans. Still, the offer is nothing to sneeze at: offerings from rivals will set you back by a bit more. Sketch costs $99 a year and is only available for macOS. However, you could also consider Invision Studio, which comes with Invision’s prototyping service, and is available to users of its free tier. In addition to the new plan, XD is also getting a bunch of upgrades this year, including the ability to replace all instances of custom design elements (called ‘symbols’) across your apps at once, and paste an object to multiple artboards with a single action. The app also opens Photoshop files quicker and preserves image effects, makes it easier to view multiple pages from Sketch files, and lets you password-protect your design specs. Adobe says that it has big plans for new XD features in the coming months, including advanced prototyping and animation capabilities, new team collaboration features, and plugin support. 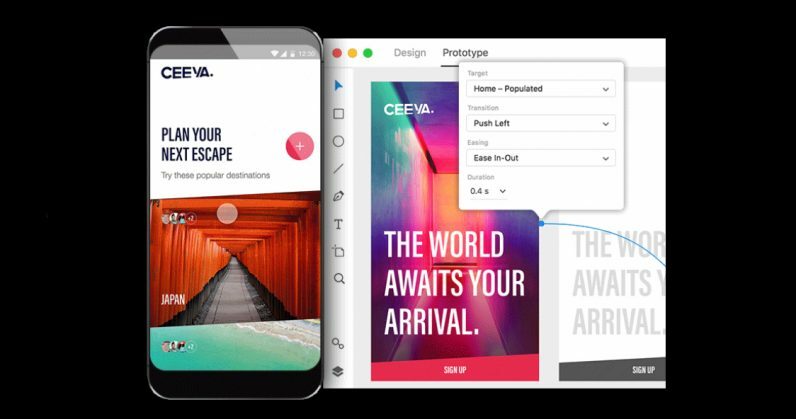 With that, Adobe is set to attract a wider set of budding user interface and experience designers than its competition; it’ll be interesting to see if this prompts those rivals to respond with more accessible offerings in the future. Errata: We previously noted that Invision Studio requires a $15 monthly subscription to Invision’s service, but we’ve since learned that the app is available to users of the free tier as well. We regret the error, and have updated our post.